Was your new years’ resolution to master the mess in your home or are you feeling inspired to start your spring cleaning early? 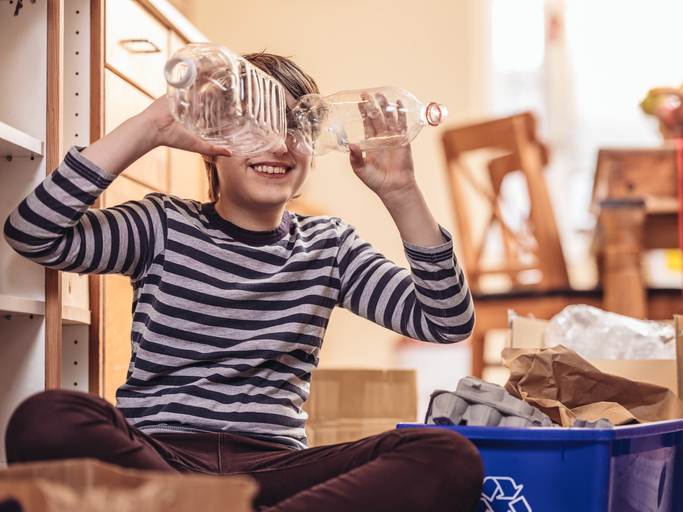 Regardless of why you’re cleaning, the question will likely come up: what are the things that can be recycled? Today, Caliterra is sharing three surprising household items that can be recycled rather than thrown in the trash. Item number one on our list of surprising things that can be recycled is every child’s favorite tool for coloring – crayons! Instead of trashing broken or dull crayons you can no longer use, consider donating them to the National Crayon Recycle Program in Colorado. The program collects the materials for Crazy Crayons. Another option is to mail the dull crayons to The Crayon Initiative in California, which melts down old crayons and sends the new batch to children’s hospitals across the country. Have your favorite pair of athletic shoes seen better days? Don’t just toss them, send them to a recycling program. Nike’s Reuse-a-Shoe program accepts any brand of athletic shoe and uses the recycled items to make courts for various sports, giving kids around the world a place to play. Drop your shoes off at a Nike retail store or mail them. If your shoes have a few miles left in them, but you don’t think you’ll be wearing them anytime soon, donate them to a local consignment or thrift store. In the spirit of recycling well-loved clothing items, don’t throw away your faded or ripped jeans, instead use them as cleaning rags! If you have plenty of cleaning cloths or if you never want to see those jeans again, drop them off at Madewell, a jean retailer that recycles any brand of denim. After you drop off your jeans, the recyclable materials will be used to make housing insulation. Plus, Madewell will give you a $20-off coupon for your next pair of jeans! As you can see, there are many surprising things that can be recycled aside from plastic, glass, cardboard and metal. Recycling helps save energy and reduces the amount of trash in our landfills. So next time you set out on your household’s yearly purge, remember these recyclable materials and be sure to dispose of your well-loved items properly. Follow our master-planned community in Dripping Springs on Facebook, Instagram and Twitter to hear about other household tips and tricks. Image via GettyImages. Creative number 903711856.